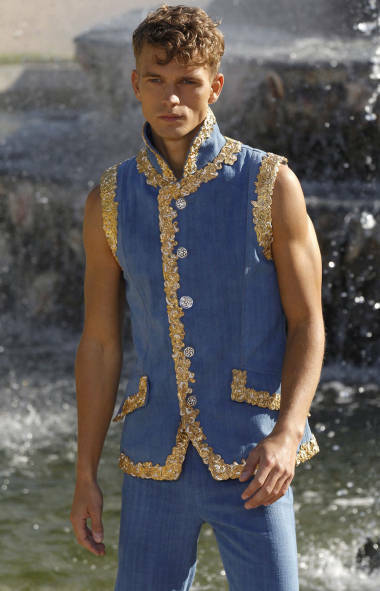 We are just loving Uncle Karl’s recent obsession with denim. Karl Lagerfeld has once again created another stunning, slightly ironic take on the Canadian Tuxedo for Chanel. Keep it up, Karl. We’re picking up what you’re putting down. This entry was posted on Wednesday, May 16th, 2012 at 11:11 am	and tagged with Canadian Tuxedo, Chanel, Denim, Denim on Denim, double denim, Fashion, Karl Lagerfeld, Paris, postaday2011 and posted in Fashion. You can follow any responses to this entry through the RSS 2.0 feed.